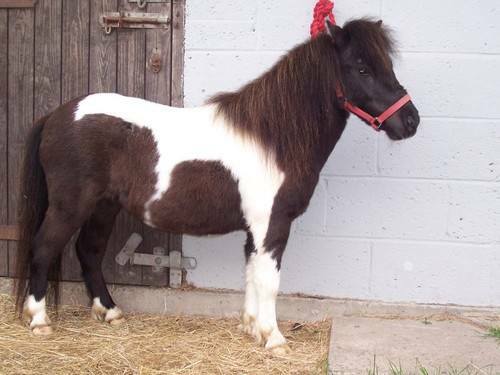 We have three geldings all with Sheribooke in their pedigrees. Hamilton represents the stud in Miniature gelding classes and Bertie flies the flag in the Standard classes. Benjamin can be called upon for Midi classes being 35" so all classes in the three heights covered. Sheribrooke Benjamin came home after six years at the Manimou stud in Cumbria. He left me after passing his VVE, but as his owner was no longer wanting to breed had him gelded and I was offered him back along with his gelding son Manimou Bertie who has joined the show team successfully winning his class first time out.